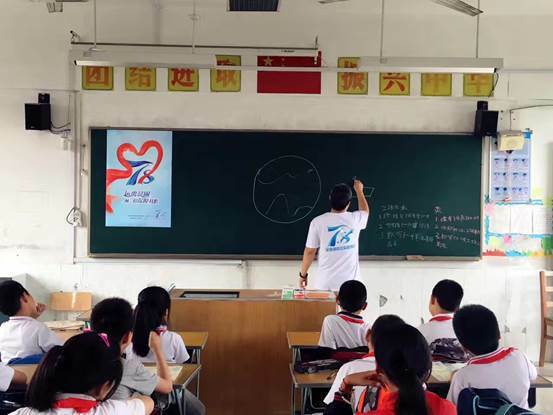 The volunteers from Aegon THIF Life Insurance Co. Ltd. went into a joint primary school for migrant workers’ children in Qingpu district, Shanghai on June 20, 2017, bringing a variety of interactive courses for the children, while paying a return visit to their donated Soong Ching Ling Charitable Book Stacks. 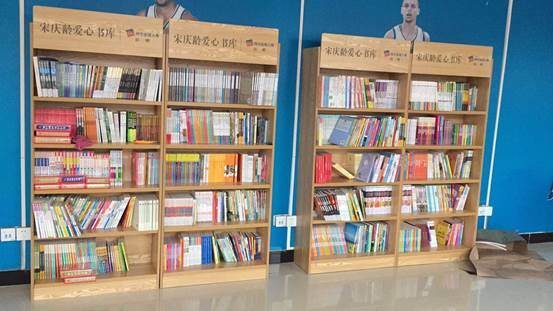 The Aegon THIF Life Insurance Co. Ltd. has donated Soong Ching Ling Charitable Book Stacks to six primary schools for migrant workers’ children in Shanghai, Beijing, Guangdong, Shandong and other regions since October 2016. The bookstacks have become a connecting bridge between the company and the primary schools. The company’s volunteers maintain long-term contacts with the students through the donated books, and actively carry out various educational aid activities. Soong Ching Ling Charitable Book Stacks, a children’s cultural project, was launched by the Shanghai Soong Ching Ling Foundation in 2006. With the support of many loving enterprises and partners, SSCLF has so far donated more than 700,000 books to the primary schools for migrant workers’ children in 12 provinces, municipalities and autonomous regions. While introducing good books, the project has also helped the aided schools make continuous progress in increasing book - circulation volume, improving library management level and giving targeted reading guidance to local teachers and students.